Its growth has been largely organic but was also boosted considerably by the acquisition of software vendors Winterheller in 2011 and MIK in 2015. In 2016 prevero itself agreed to be acquired by Unit4, a Dutch provider of enterprise applications (e.g. ERP) for service organizations. Unit4 prevero’s product portfolio includes the Unit4 prevero platform technology, which can be used for various BI and CPM use cases. Unit4 prevero is positioned as a flexible platform for tailor-made planning and BI solutions. The company also offers a web-based financial consolidation solution called Unit4 prevero Consolidation (OEM SigmaConso), which is integrated with Unit4 prevero at database level. For historical reasons, Unit4 prevero has a strong focus on the utilities sector and offers pre-built content specifically for this industry. Approximately 20 percent of Unit4 prevero’s clients come from this sector. Despite this, Unit4 prevero positions itself as industry-neutral and now wins more new clients outside the utilities sector. 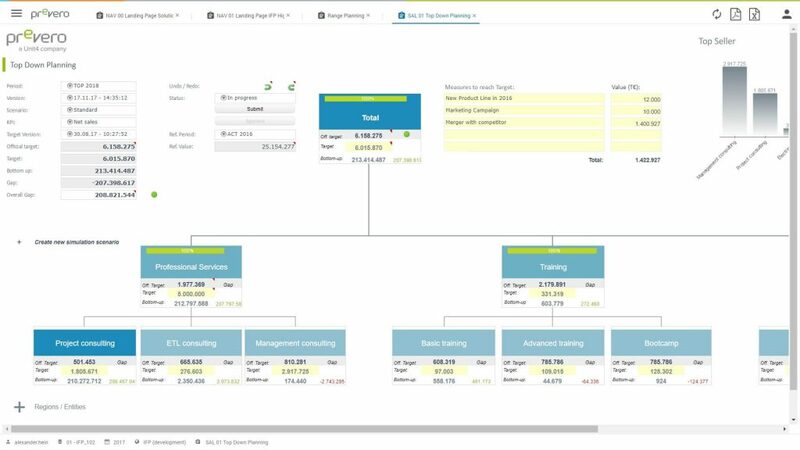 Additional predefined industry and business applications are available for areas such as project performance management, strategic controlling and risk & opportunity management. Unit4 prevero is targeted at business users who build BI and CPM applications with the help of wizards. The product provides a flexible development environment for building individual applications for planning, reporting and analysis, which is supported by dialog boxes and requires no knowledge of scripting. Unit4 prevero provides comprehensive capabilities for supporting top-down, bottom-up and mixed planning processes. 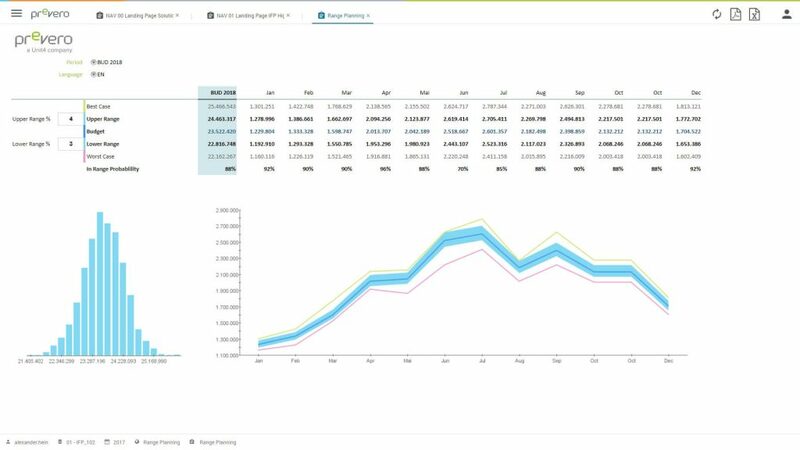 Planners can enter budget data in the full client, HTML5 web client or Excel add-in. Aside from customized planning applications, Unit4 prevero also offers a financial planning module for companies across all industries. 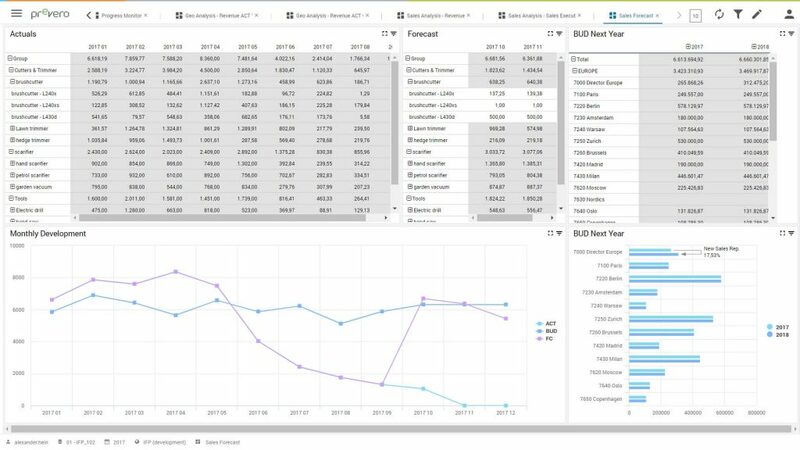 Furthermore, broad functionality is available for reporting and report creation with a tabular grid that closely resembles Excel in the full client. For data storage and navigation, Unit4 prevero uses a ROLAP approach and offers typical OLAP navigation capabilities in its clients. 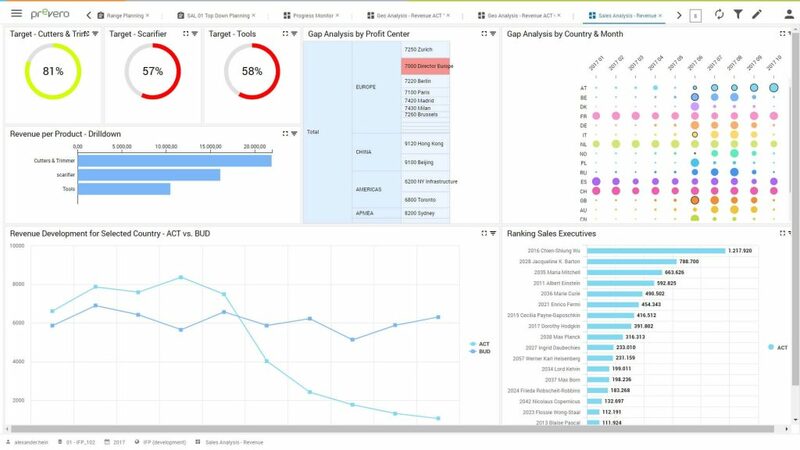 In addition to planning, customers mainly use Unit4 prevero for ad hoc query and reporting, standard / enterprise reporting and basic data analysis. 57 percent of respondents plan to use Unit4 prevero for dashboards / scorecards and 48 percent for advanced analysis in the future. Unit4 prevero targets mid-sized and large corporations from all industries. 73 percent of our sample come from mid-sized companies (100-2,500 employees) with a median of 63 users (30 of them using planning functionality), but the mean of 76 users (44 for planning) indicates that there are also some larger implementations. 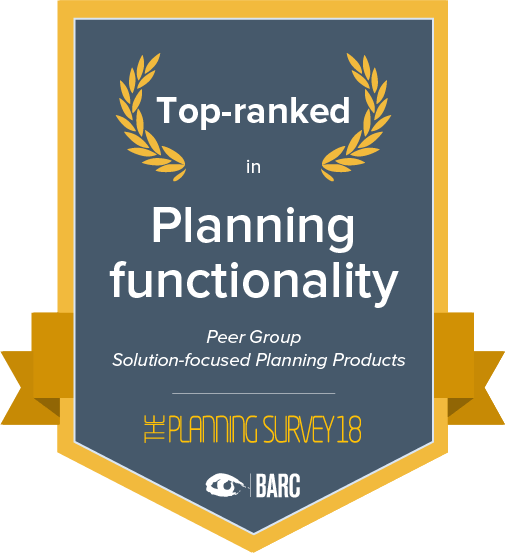 61 percent of Unit4 prevero users are planning users – just below the survey average of 62 percent – reflecting the fact that Unit4 prevero is essentially an integrated planning tool. With 11 top ranks and 12 leading ranks, Unit4 prevero once again achieves very good results in BARC’s Planning Survey this year. 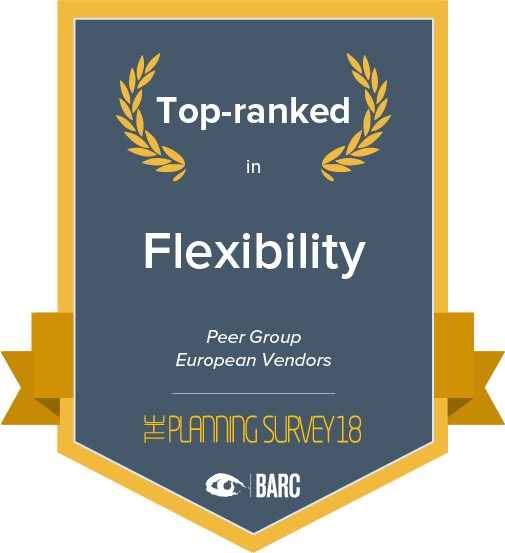 Excellent ratings in KPIs such as ‘Planning functionality’, ‘Flexibility’ and ‘Simulation & scenario analysis’ help to consolidate its position as a leading planning and CPM vendor in the DACH region. Companies can benefit from using Unit4 prevero in terms of increased transparency of planning, better integration of planning with reporting / analysis and more precise or detailed planning. This leads to a better quality of planning results for many customers. 90 percent of respondents are “satisfied” or “very satisfied” with Unit4 prevero, which is the main reason for its high recommendation rate of 90 percent. With its platform approach, Unit4 prevero offers considerable flexibility to users wanting to implement a wide variety of planning and CPM use cases in one integrated platform. 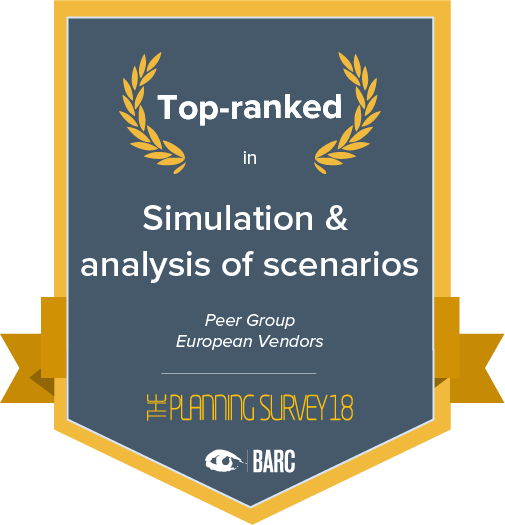 BARC’s Vendor Performance Summary contains an overview of The Planning Survey results based on feedback from Unit4 prevero users, accompanied by expert analyst commentary. Excellent ratings in KPIs such as ‘Planning functionality’, ‘Flexibility’ and ‘Simulation & scenario analysis’ help to consolidate its position as a leading planning and CPM vendor in the DACH region. With its platform approach, Unit4 prevero offers considerable flexibility to users wanting to implement a wide variety of planning and CPM use cases in one integrated platform. 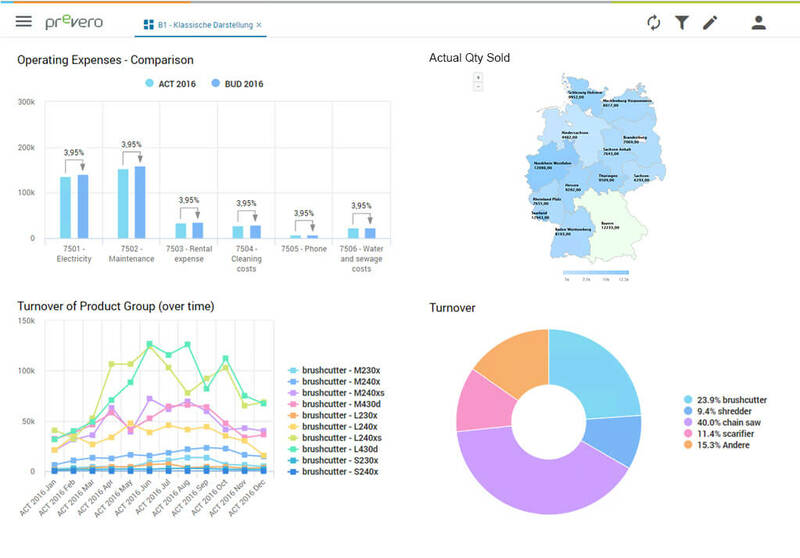 Companies can benefit from using Unit4 prevero in terms of increased transparency of planning, better integration of planning with reporting / analysis and more precise or detailed planning. 90 percent of respondents are "satisfied" or "very satisfied" with Unit4 prevero, which is the main reason for its high recommendation rate of 90 percent. Satisfaction with the success of customer projects is high, which is why Unit4 prevero achieves a leading position for the ‘Customer satisfaction’ KPI in the ‘BI-focused Products’ peer group.